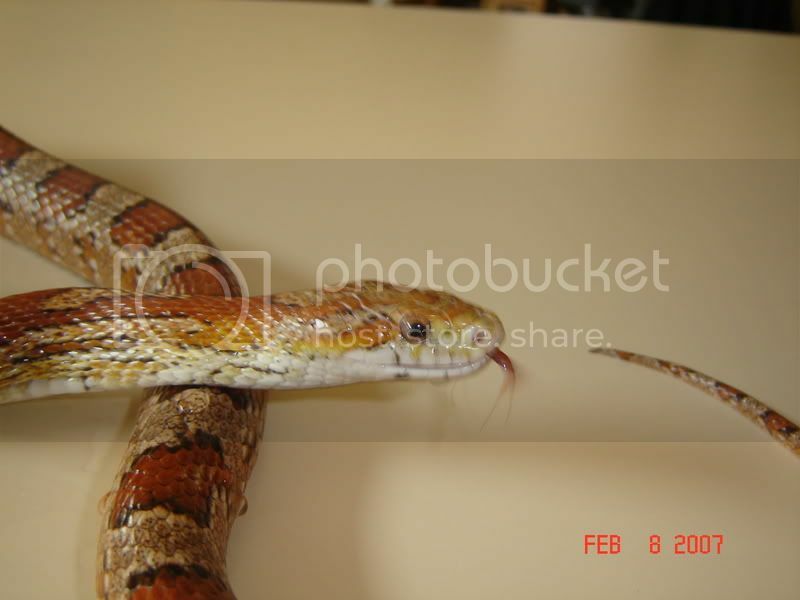 Although snakes have to eat, im not sure it is appropriate showing them doing so. 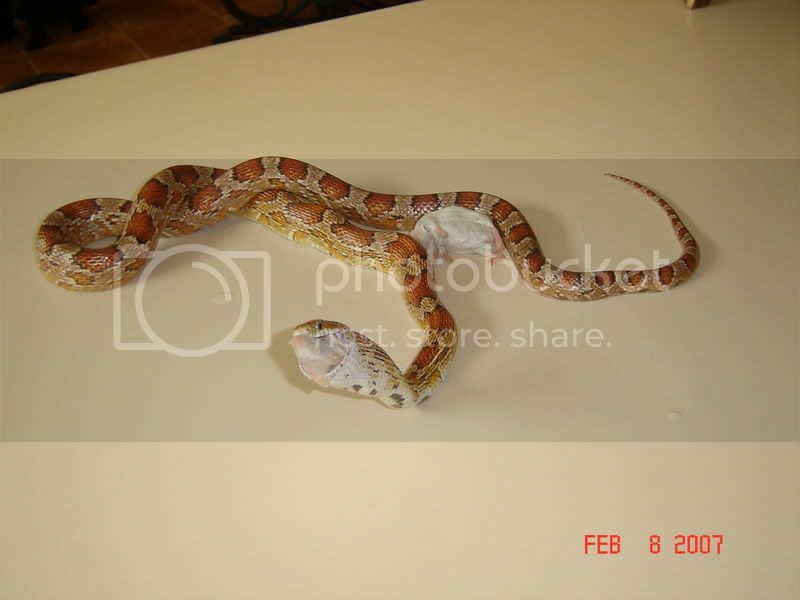 I know that if I saw a snake eating a guinea pig, I might be really offended or upset. Last edited by Ambieruns10; 02-08-2007 at 02:27 PM. I think they are great pics!! Well done! 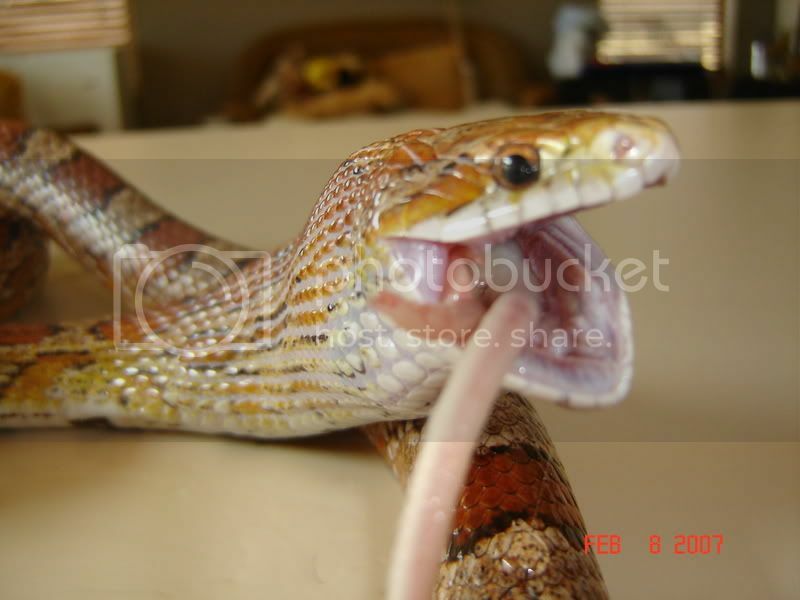 I forgot to ask, is that your snake? What is its name? yea umm I agree....that was kind of horrifing to me. just put a little warning please.. and I agree with christine...I didnt like seeing it..although i soo scrolled down quite fast. Just please but "graphic" at the top next time. I think people may have thought it was a joke. I don't know what I thought it was going to be. 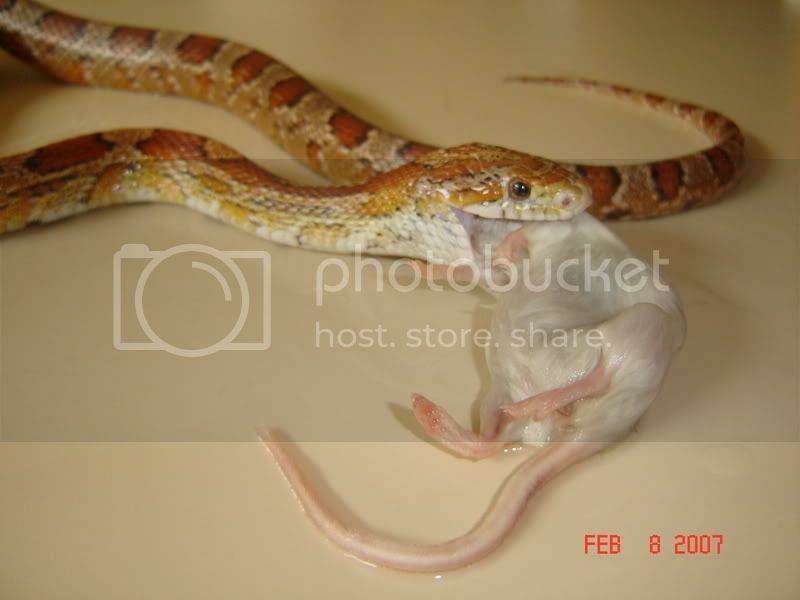 I just know I didn't think it was going to be a snake literally eating a mouse. 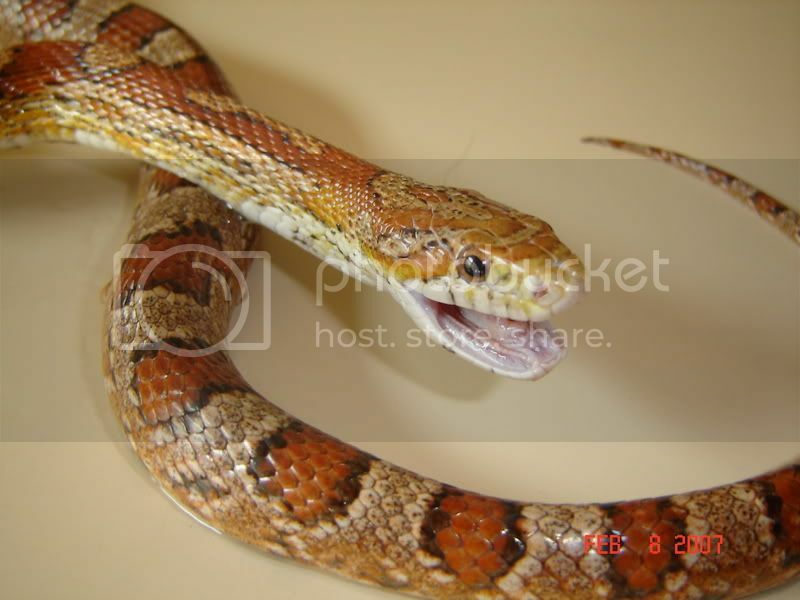 Its a part of nature and snakes do eat rodents and other things. She just needs to put "graphic" in the title next time for ones who dont necessarily want to see it. I did think maybe it was going to be a joke or something else. Im sure one of the mods will take care of it put the word "graphic" in the title. he is too big to sustain himself on smaller food like crickets thats the difference. the mods can do it.